In 1857 developer Daniel Hayden completed construction of a pair of near mirror-image homes at Nos. 113 and 115 East 36th Street, between Lexington and Park Avenues. Faced in brownstone and four stories tall, they were astoundingly narrow, sharing a 25-foot wide plot which a few years later would assuredly have accommodated a single house. While the style was overall Italianate, the unknown architect added a touch of the far less common Egyptian Revival in the shape and lotus motif of the capitals of the first floor pilasters. Two sets of French doors at the second floor most likely opened onto a cast iron balcony. The houses shared a handsome wooden cornice. The attractive leaded glass window was most likely added in the last 19th century. The faceted keystones and interesting pilasters add to the engaging design. Wanted--A French girl to take care of a child and sew; must be a neat sewer and accustomed to the care of children; her pronounciation must be good; must also speak English. In 1863 Hayden sold the house to Raffaele Molini. The artist was a prominent muralist who adorned the ceilings and walls of Manhattan mansions and hotels with "Raphaelesque style" frescoes. Among his most celebrated work was the dining room ceiling of the exclusive Fifth Avenue Hotel. But he, too, used No. 113 for rental income while living nearby on Lexington Avenue. The affluence of his tenants was evidenced when the furnishings of the house were auctioned on April 29, 1872. The furniture was made by three of America's foremost cabinetmakers: Pottier & Stymus, Alexander Roux, and Herter Brothers. Also listed in the offering were a "rosewood French grand Piano by H. Worcester; heavy Lace Curtains, Oil Paintings, Statuary, &c., &c."
Molini sold No. 113 in 1878 to Thomas Reed. The well-to-do merchant was a member of the Chamber of Commerce, a coveted distinction. The Reeds had barely moved in when they had a celebrated house guest. A crowd of admirers were at the pier to meet the steamship. "On her arrival she was immediately driven to the residence of her friend, Mrs. Thomas Reed, at No. 113 East Thirty-fifth-street, where she spent the night." It seems that expansive width was not a factor in the Reeds' choice of homes. The newly-build No. 11 East 73rd Street which the couple purchased in May 1882 was only four feet wider than the East 35th Street house. No. 113 became home to Stephen Van Rensselaer Cruger and his wife, the former Julie Grinnell Storrow. Born on May 9, 1844, he had been sent to Europe at the age of 14 to be further educated. When he heard of the fall of Fort Sumter he sailed home and entered the Union Army. Cruger served valiantly. He was seriously wounded at the Battle of Resaca and attained the rank of Colonel. His wife (a grandniece of Washington Irving), was a prolific author who used the professional pseudonym Julien Gordon. Although he was educated as an attorney, Cruger went into the real estate business. He was, as well, a director in corporations like the Mutual Life Insurance Company, the New York Life and Trust, the Illinois Central Railroad and the Dubuque & Sioux City Railroad Company; and was controller of Trinity Church Corporation. The University Magazine said of him, "With a talented wife, a beautiful country-seat, 'Idlesse,' at Bayville, L. I., and a winter home in New York, he is unassuming...He belongs to the ten best social clubs of the city and suburbs." The New York Times called him "one of the best known business and club men of this city." If the Reeds had not felt confined in the narrow house, it seems the Crugers did. In July 1884 they hired architect W. A. Potter to enlarge the house by extending it 23 feet to the rear. The alterations cost about $57,000 by today's standards. The Crugers were considered among the topmost echelon of Manhattan society, included in Ward McAllister's list of "The Four Hundred." The 35th Street house was the scene of refined dinner parties and receptions. On June 22 he traveled to the Idlesse in seemingly perfect health. He died there the following day at the age of 54. His funeral, "amidst so many remarks of respect," according to the Record & Guide, took place in Trinity Church and his body was placed in the family vault below the choir. No. 113 next became home to sportsman James Wadsworth Ritchie and his wife, the former Emily Montague Tooker. The pair had been well-known in high society separately before their 1895 marriage. Ritchie was a part owner of a large cattle ranch in Texas (inherited from his stepfather). But basically he and his wife lived on their significant inherited wealth, spending their summers in Newport and circulating among society in Manhattan. What was most likely a family connection resulted in Pierre Lorillard Ronalds living in No. 113 by 1905. He and his wife, the former Mary Frances "Fanny" Carter, had three children, Pierre, Jr., Reginald, and Fannette Florence. Fannette married Thomas Ritchie. Ronalds was immensely wealthy, and had been known in Manhattan, Newport and throughout Europe for his impressive four-in-hand coaches. His country estate, Castle Ronalds, at Newtown, Connecticut was described by The New York Times as containing "a magnificent mansion, surrounded by a park of forty-five acres." His wife, however, had been out of the picture for decades. On October 13, 1860 the couple had attended the social event of the season--a glittering ball at the Academy of Music in honor of the Prince of Wales. 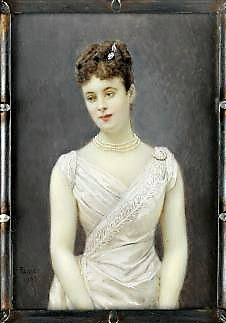 Mary Frances caught the prince's eye and, according to Town Talk decades later, "Afterward she and her husband separated and she went to live abroad, and she has been a favorite in London fashionable and artistic society ever since...They are not divorced. They simply live apart." Ronalds was not alone, however. In 1886 his good friend, Gustavus A. Blake, had died while visiting Ronalds at his country estate. Ronalds took Blake's daughter, Elizabeth, into his home. She never left. On October 18, 1905 Ronalds arrived at No. 113 from Castle Ronalds, complaining of illness. Physicians were summoned who decided a kidney operation was necessary. Within 24 hours the 71-year-old was dead. Later The Evening World noted ""It appears that beside the servants in the Thirty-fifth street household Miss Blake and Mr. Ronalds were the only members." Elizabeth told reporters that their relationship was "nineteen years of daughterly devotion." That devotion was profitable. Between November 1901 and December 1904 Ronalds had transferred the deeds of multiple properties amounting to about $1 million in value to Elizabeth (more in the neighborhood of $28.5 million today). Fannie T. Ritchie and her brother, Reginald were unaware of the changes to their father's will until now. Before the will could be probated the siblings sued. Reginald claimed his father "was mentally incompetent to understand their meaning" and that "he was forced into the transaction by coercion of a psychic nature on the part of Mrs. [sic] Blake." The Evening World wrote "Sensational as it may seem, Ronalds asserts that Miss Blake terrorized his father by representing this gift to her as the distinct command of his deceased relatives." Elizabeth feigned shock. When a reporter visited her at No. 113 East 35th Street on October 25, 1905, she exclaimed "The man who was supposed to have felt toward me as a brother has caused me the cruelest sorrow a woman can bear." She explained "The property that Mr. Ronalds deeded me was his gift in recognition of my filial affection." The World said "Here Miss Blake was so disturbed that she buried her face in the Oriental pillows and sobbed hysterically." The court case was settled with Elizabeth receiving a lump sum payment of $2,350 and a trust fund of $200,000. 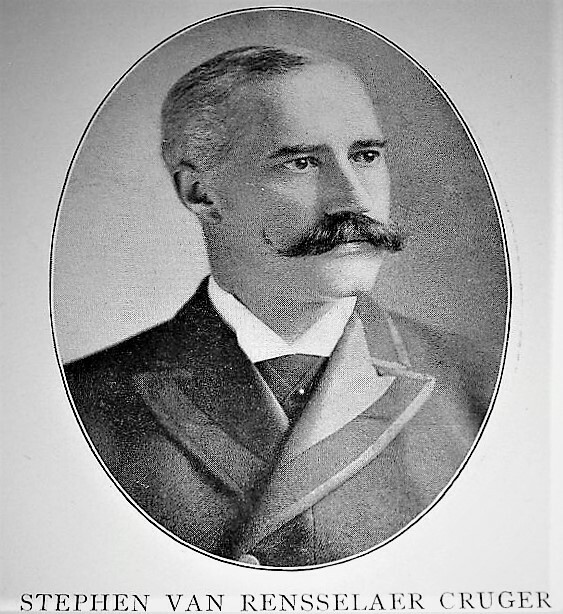 Title to Pierre Lorillard Ronalds's extensive real estate holdings were transferred to Reginald Ronalds and Fannie Ritchie. Mrs. Anna A. Roberts purchased No. 113 in January 1906. Once again the house was enlarged to the rear after she commissioned architect William S. Miller to add a 10-foot extension in July that year. Anna Roberts leased the house to a string of well-to-do residents including Dr. C. J. Colles in 1909; Stephen H. P. Pell and his wife in 1915, and the Walter Eyre Lamberts until 1918. Trouble ensued after sisters Mary A. J. Hayes and Helen Augusta Hayes signed their lease in September 1921. Mary was a manuscript editor who worked from home, and Helen was a vocal coach. Decades before air conditioning, her pupils' scales and arias filled the quiet 35th Street block. It did not sit well with next-door neighbor John H. Tonnele. A lawyer, he filed suit to have the clamor squelched. His affidavit, filed on February 18, 1922, recalled an 1847 restrictive covenant "forbidding the sale or use of any property for business purposes" in Murray Hill. He claimed he had purchased his residence because of that restriction "in one of the most exclusive residential districts in the city," but "Miss Hayes is conducting her business on the premises adjoining his home in such a manner as to allow loud and continuing noises and disturbances." Because of the operatic singing, he said, "the health of his wife is imperiled, while the health of himself and members of his household is threatened." It may have been the uneasy relationship with her neighbors that prompted Helen to leave on a singing tour of Germany within a few months. Another concert singer, Anne Drouillard, lived here in January 1937 when her private life was made shockingly public. Four years earlier she had been indiscreet, checking into an Atlantic City hotel as the wife of a violinist, Peter Aria. The couple spent the night. Two weeks later she was the target of extortionists. Not wanting her career tainted with the scandal, she paid. 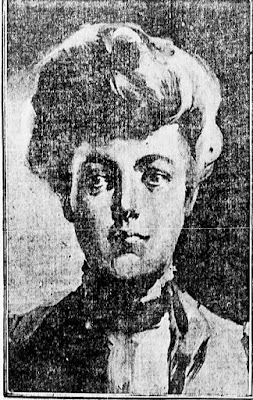 It would have remained a secret had the same man, Max D. Krone, not been charged with blackmailing Alfred E. Smith Jr. Anne courageously took the stand to testify on the politician's behalf. On January 21, 1937 The New York Post ran the shocking headline "Woman Singer Bares Episode In Hotel Room / Pre-Marital Romance Is Brought To Light in Blackmail Trial." In 1957 the house was converted to two apartments, a duplex in the basement and first floors and a triplex above. The most celebrated tenants would be theatrical royalty, Jessica Tandy and Hume Cronyn. In August 2018 a plaque commemorating their residency here was attached to the facade.